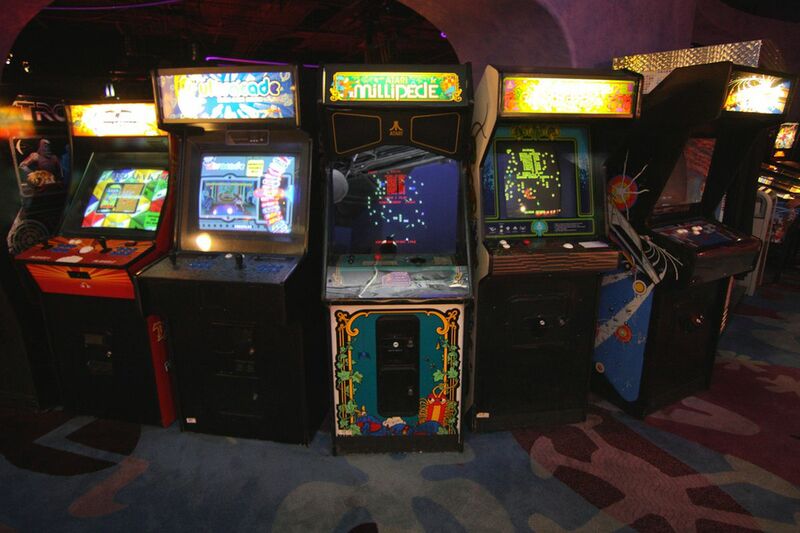 The first popular “arcade games” included early amusement-parkmidway games such as shooting galleries, ball–toss games, and the earliest coin-operated machines, such as those that claimed to tell a person’s fortune or that played mechanical music. The old Midways of 1920s-era amusement parks (such as Coney Island in New York) provided the inspiration and atmosphere for later arcade games. In the 1930s the first coin-operated pinball machines emerged. These early amusement machines differed from their later electronic cousins in that they were made of wood. They lacked plungers or lit-up bonus surfaces on the playing field, and used mechanical instead of electronic scoring-readouts. By around 1977 most pinball machines in production switched to using solid-stateelectronics both for operation and for scoring.